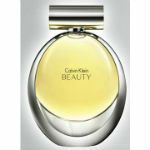 Get a free Calvin Klein Beauty fragrance sample. Fill out the simple form to receive a free sample. You will receive a postcard sized sample. Please send me free sample? Love to receive a sample of calvin klein. I am very. interested in recieving free samples of colognes, samplesof what nots. Thank you.